Product prices and availability are accurate as of 2019-04-23 22:49:20 UTC and are subject to change. Any price and availability information displayed on http://www.amazon.com/ at the time of purchase will apply to the purchase of this product. 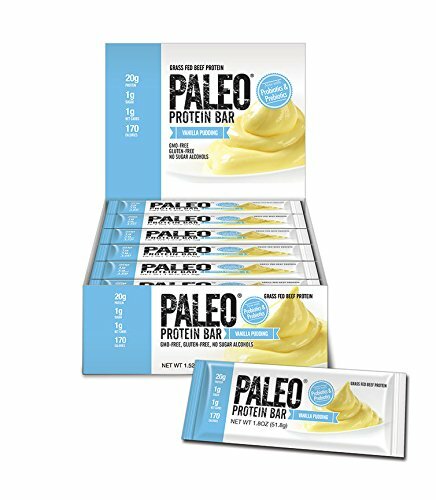 Paleo Protein Bar ® (Vanilla Pudding) The First Ever Probiotic & Prebiotic Protein Bar On The Market ! 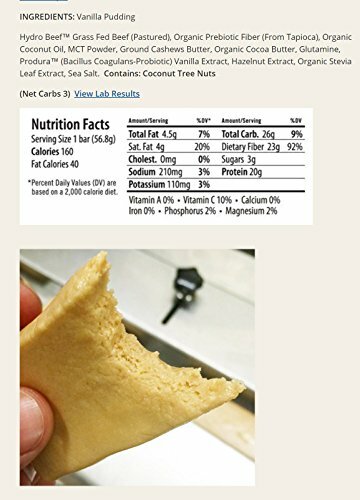 100% Paleo, Gluten-free, (Egg Free), GMO-free, Grain-free, High-fiber, Dairy-free, Whey-free, No Sugar Alcohols, and High-protein. All of our bars are 170 Calories+ with 20g of Protein. 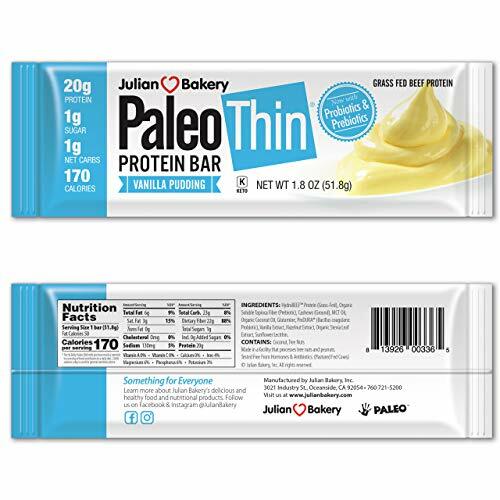 This delicious rich flavor has grass-fed beef protein which is ideal for those that are allergic to eggs or just looking for an ideal protein source for putting on lean muscle. This bar is specially formulated as a meal replacement or post workout snack. This bar curbs appetite for up to 4/hrs by delivering 20g Protein, 170 Calories, Health Fats (From Organic Coconut Oil & MCT Powder), Organic Prebiotic Fiber (From Tapioca) & Produra™ (Heat Resistant Probiotic) that improves digestion & curbs appetite. No added, and only 1 net carbs! This flavor is rich in flavor and is soft and chewy!